After an 8.2% decrease in Cape Coral year-over-year home prices in September, sales prices in October resumed its almost 8-year upward trend. The number of Cape Coral home sales increased from 345 in Oct 2017 to 395 home sales this October. Home prices increased from $269,000 to $277,000, a 3% hike. Home prices in Cape Coral have increased by an average of 16% over the past three years, with lower to mid-range home prices increasing even higher. High-end homes experienced relatively stable pricing over the 3-year period. Despite significant yearly price gains since SWFL real estate bottomed out in 2010, Cape Coral/Ft Myers home prices are still 15.7% below the pre-recession peak. Naples/Marco Island home prices are down 8.2% from peak prices, and Punta Gorda is 3.7% in the red and will be in positive territory very soon. Tom: In mid-October, Ocean Habitats installed two mini reefs under our dock and two at a neighbor's home. Within a few days, we saw larger fish than we have in the past. The canal water is still a little dark so we could only see the fish that swam near the surface. Still, it was a pleasant surprise to know that these mini reefs work and that 30,000 gallons of water a day will be cleaned at our dock. A mini reef, which cost $250 each (mostly tax deductible), will grow more than 300 fish and 200 crabs per year. The cities of Fort Myers Beach and Sanibel are purchasing several mini reefs for specified waterways. Click here to visit the Ocean Habitats website. 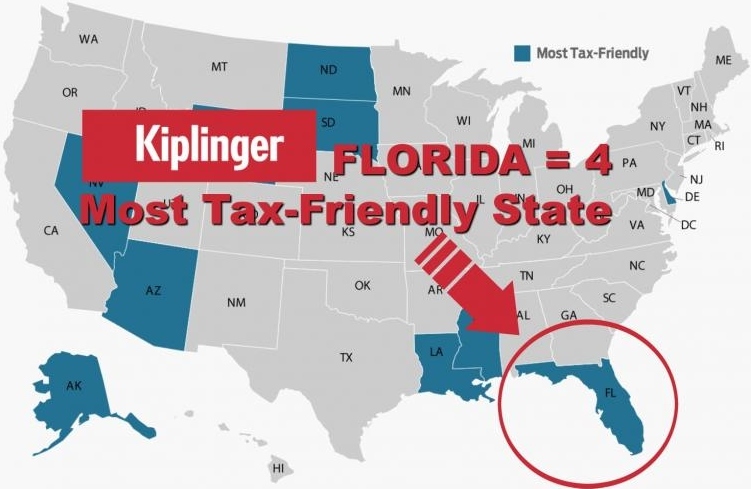 Kiplinger’s list of the most tax-friendly states for 2018: #1 Alaska #2 Wyoming #3 South Dakota #4 Florida. All four of these states have no state income tax (surprise of surprises), but only Florida has warm weather. Nevada came in at #5 and also has no state income tax. The report includes all state, local and property taxes. U.S. News and World Ranks Ft Myers/Cape Coral 2nd Best Place to Retire: To come up with a ranking, U.S. News & World evaluated the country’s 100 largest metro areas to see how well they met retiree’s expectations, such as housing affordability, desirability, health care and overall happiness: Sue: we never tire of these national accolades being heaped on our wonderful area month after month. A study by the National Center for Atmospheric Research reveals that homes built in coastal areas of Florida suffer 64% less hurricane damage when implementing building codes that require certain impact-protection provisions. The study used insured loss data across 10 years from more than 1 million homes and seven landfalling hurricanes. The research shows that the latest hurricane construction codes are very cost-effective in the long-run, bringing a benefit-to-cost ratio of $6 in reduced damage for every $1 in increased cost. Although cost-effectiveness is highest in the interior of the state, coastal communities that must implement more expensive impact protection still show strong benefit-to-cost ratios. Myriad Luxury Motorcoach Resort has finally broken ground. It took six years to be rezoned and garner local resident’s approval. The recreational vehicle resort is on 90-acre Tranquility Lake, located on Burnt Store Rd, in the NW quadrant of the Cape. When completed, the resort will accommodate about 265 motorcoaches with customized West French Indies Island-style villas, which are available for purchase. The majority of the lots are lake lots. Myriad will have a clubhouse, fitness facility, catering kitchen, open-air bar, dining lounge, gaming room, infinity pool, boat house and docks, kayaking, bicycling and more. Onsite development work has begun and sewer piping will be installed soon. Expected completion time is four years, though developers expect to start bringing motorcoaches by spring of 2019. The development is likely to appeal to local residents as well as motorhome enthusiasts. Tom: normally Sue and I would not be in favor of a motorhome development coming to the Cape. But an ultra-luxury resort like Myriad, where some of the motorhomes will be higher priced than the average Cape Coral home, is something we welcome with open arms. Early Property Tax Payment Reminder: You can save 1% per month beginning in November by paying your property taxes early. This equates to a 12% annualized return for paying early….a very nice return. 2018 property taxes are not officially due until March. Mortgage Rate-lock Forcing Many Owners to Stay Put: According to a report by First American Financial Corp, current owners have a strong disincentive to sell their homes if their current mortgage rate is ultra-low. In turn, this is causing people to remain longer in their homes and exacerbating the low housing supply. Just prior to the housing downturn in 2007, homeowners stayed in their homes an average of four years. Between 2008 – 2016, median homeowner tenure increased to seven years. In September, the median ownership period jumped to 10 years, largely due to people unwilling to give up low-interest rates. Cape Coral/SWFL Recap & 2018 Projections - Will Tax Reform Affect SWFL Real Estate? 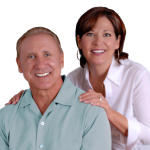 - Cape Coral Rated #1 Boomtown In U.S.